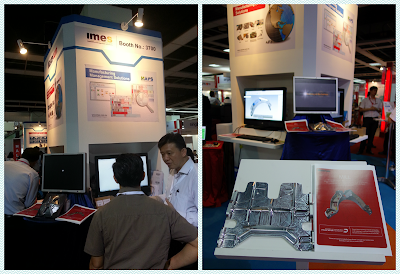 Once again, we had exhibited our latest 3D solutions, ranging from design, engineering, prototyping, manufacturing to inspection at the renowned annual trade show – METALTECH 2015. 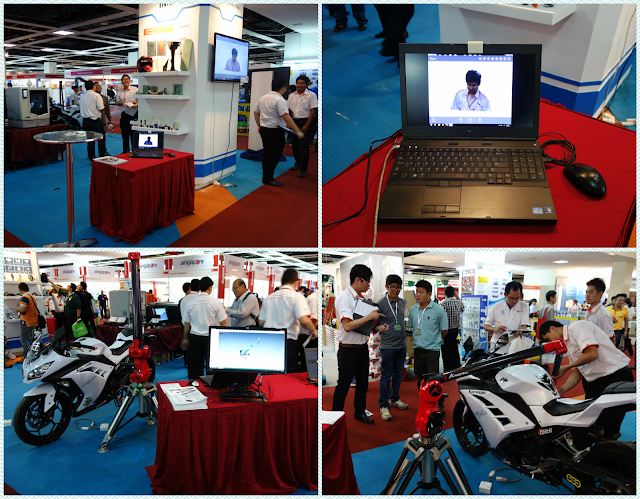 The show was a great success and we had a lot interesting discussion with existing and prospective customers. We are especially happy about most visitors’ interest in today's cutting-edge design and manufacturing solutions. 3D solutions aren’t just cool technologies of tomorrow. It can make a difference to how we used to work – uplift ourselves from implementing the manual and tedious way to a more efficient and quality assured method. We have seen that many visitors are more and more concerned about remaining competitive in this digital era. While Engineering 4.0 is foreseen to be the next wave, we believe that through investing and implementing 3D solutions, local design and manufacturing companies can better sustain and further compete in the global competition. • 3D Design – User can actually do more with their 3D model, not just product design. For instance, user can use the cool gadget MYO to present their 3D model, not to mention in an interactive environment, namely augmented reality (AR) to greatly enhance audiences’ experience. • 3D Scanning / Reverse engineering/ Quality Inspection – With 3D scanning, user can innovate and improve a desired design model at ease. It allows user to quickly inspect and reverse engineer complex and organic shapes by using laser scanning. • 3D Printing – There is a misconception that 3D printing is only useful for concept modelling. The fact is advanced 3D printing has various applications such as concept modeling, functional prototyping (prove and perfect designs with tough, precise testing, manufacturing tooling (streamline production with quick, low-volume tooling and custom fixtures) and even end-use parts (direct digital manufacturing). • Robotics Simulation – With robotic simulation software, programmers are able to perform reachability studies, interlock analysis and offline robot teaching to deliver optimized robotics programs to the shop floor. Robotics will enable workcells to be planned with accuracy to design and optimize with greater efficiency. • Manufacturing Solutions – As product designs are getting inherently complicated, there is a growing need for CNC machines as well as CAM software to improve efficiency machining process by optimizing the route. On the other hand, having competent manufacturing management software is important too to help manufacturers especially in the high mix low volume industries to handle rapid changes such as manufacturing order, material shortage, reworks or machines break down in the production floor. If you had visited our booth at Hall 3, booth no. : 3700, you probably had the chance to take a lot of good information regarding 3D solutions with you. But if you hadn't had a chance to drop by our booth during the show, please do not hesitate to share your area of interest with us marketing@cadcam.com.my. We would like to thank all visitors for taking time to visit our booth again. We're looking forward to building business success together!